It’s movie night in our house thanks to Disney, Lucasfilm and Hasbro! That’s right – Solo: A Star Wars Story is now available everywhere on Blu-Ray, DVD and Digital HD. We were sent a movie night package from Disney to celebrate and we can’t wait to share what is inside. 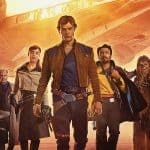 Solo: A Star Wars story is the prequel to the original trilogy and tells the back story of the scoundrel with a heart of gold that we all love. 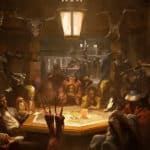 It’s a got a gritty feel of an old western and shows you where Han gets his start. With his past, a broken heart and several battles – there’s a lot to enjoy about Solo: A Star Wars Story. 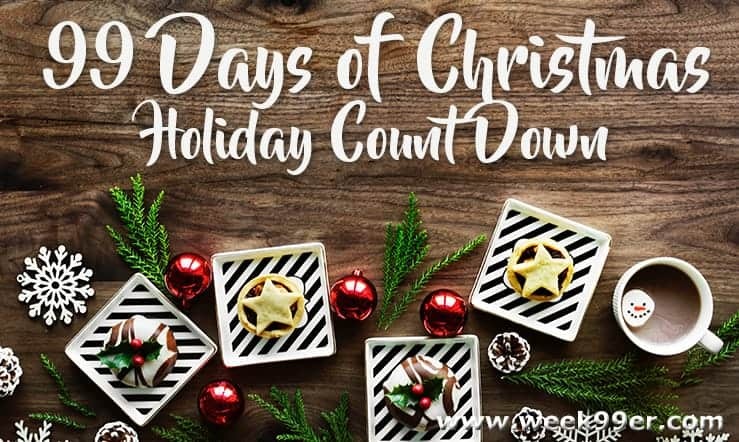 We’ve got our popcorn popped, our blasters ready and we’re snuggling under this new blanket as we get ready for tonight’s movie night! 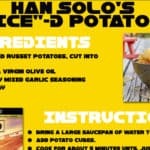 Are you ready for your movie night with Han Solo? 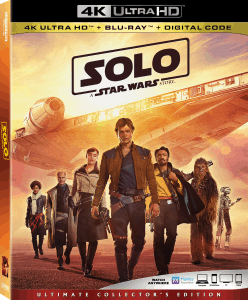 Solo: A Star Wars Story is now available everywhere on Digital HD, 4K, Blu-Ray and DVD today, so be sure to grab your copy. Want more Star Wars fun? 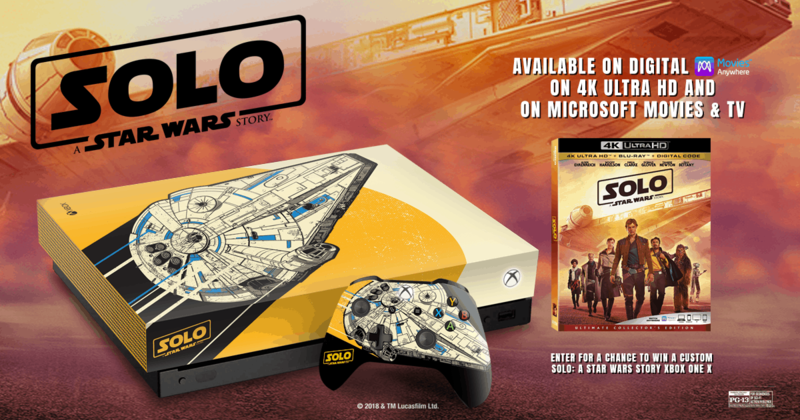 We have an Xbox sweepstakes you can enter, activity sheets and even more from each of the actors on their role in the movie. 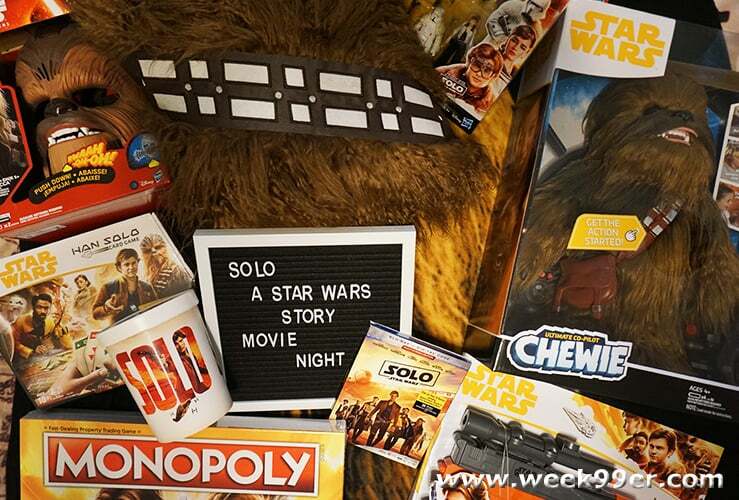 Grab your favorite Wookie and get ready for a fun night with Solo: A Star Wars Story! 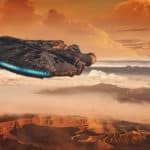 Check out what we got in our Solo: A Star Wars Story Movie Kit Box! 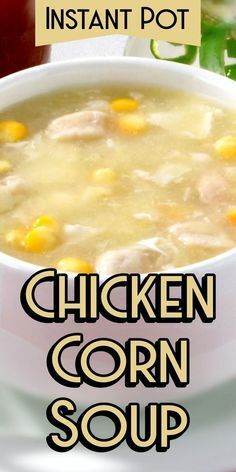 Previous Hotel Transylvania 3: Bonus Clips and Recipes for Your Next Movie Night!